I set up curator.ie in 2010 as a vehicle for innovative curatorial projects with a strong educational component and a collaborative ethos. a detailed investigation of the records of the Dublin Anthropometric Laboratory, which operated out of he University Of Dublin, Trinity College (TCD) between 1891 and 1903.
placing this research into the public domain in a creative programme of public engagement on issues relating to body, image, and ethnicity. The project is centred on a collection of photographic negatives that were discovered under the “Old” Anatomy Theatre in TCD in 2014. 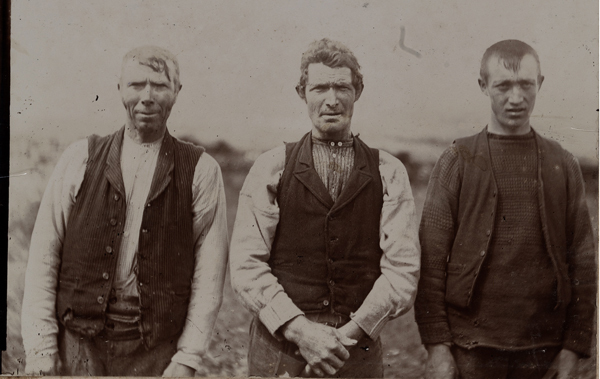 The photographs were taken by Andrew Francis Dixon during a fishing survey in 1890 but represent a foundational event in the development of the Dublin Anthropometric Laboratory and a politically radical form of visual ethnography. 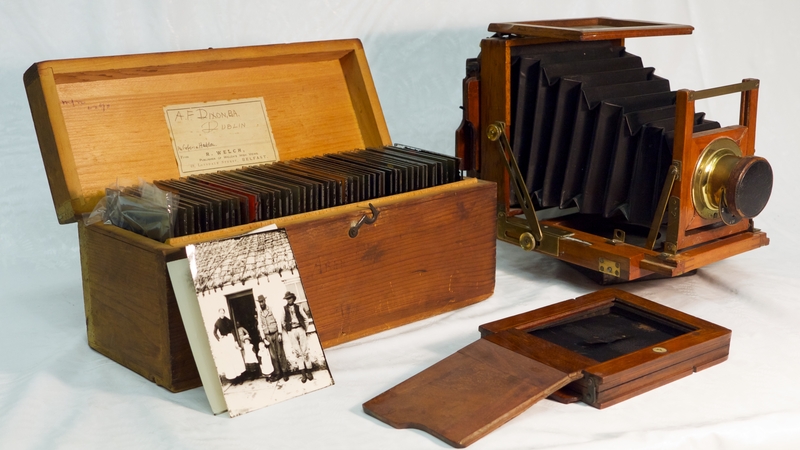 The Haddon-Dixon photographs. 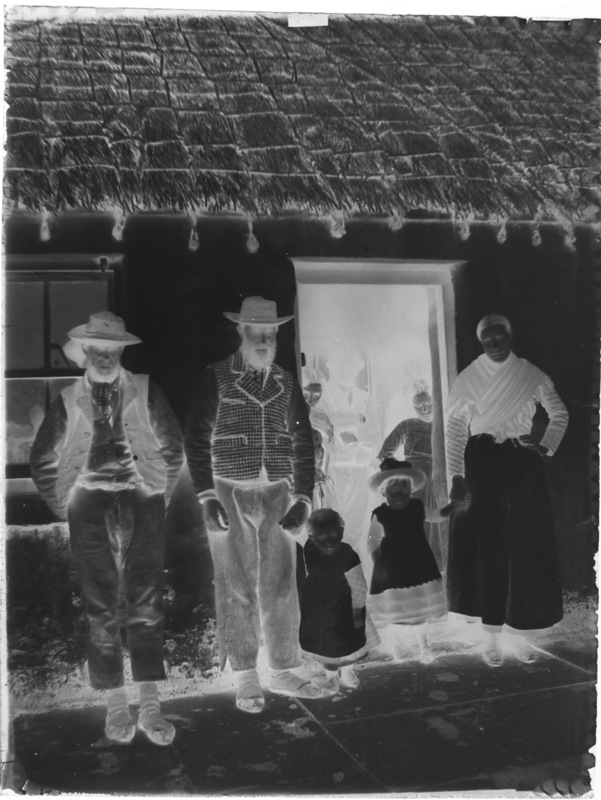 The negatives were exposed in the Aran Islands in 1890 and were discovered on a shelf underneath the anatomy theatre in 2014, along with various pieces of photographic equipment. Work commenced under Maynooth University in February 2015. TCD joined the project in 2016 and Kimmage Development Studies Centre came on board as enterprise partners later in the same year. The management team was reorganised to include Dr Mark Maguire (Maynooth University), Prof. Martina Hennessy (School of Medicine, TCD), and Dr. Rob Kevlihan (Kimmage Development Studies Centre). Kimmage DSC was absorbed into Maynooth University in 2018 and I became a fellow of the Shanahan Research Centre, which is funded by the Spiritan Order and managed by Dr. Rob Kevlihan. The first year of the project was taken up with a taught MA in the Anthropology Dept of Maynooth University, a sort of crash course in anthropology for someone whose background was in the visual arts curation. 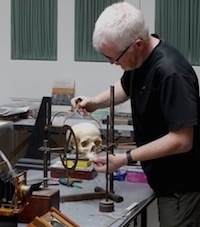 “Fieldwork” commenced in 2016 and, since then, has been split between work on the anthropological collections in the “Old” Anatomy Building in TCD and the Haddon papers in the Cambridge; mainly in Cambridge University Library but extending to the Haddon Library and the photographic collections of the Museum of Archaeology and Anthropology. 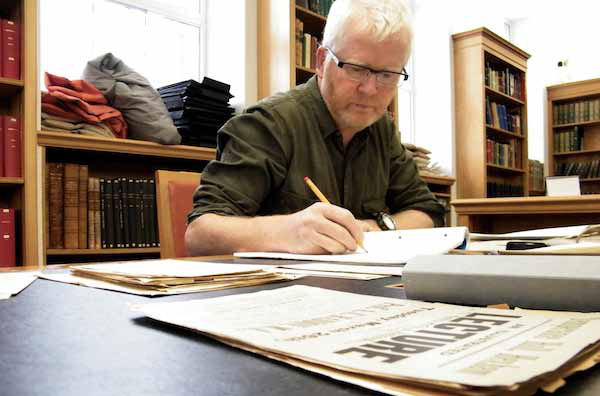 Ciarán Walsh at work on ‘Haddon in Ireland’ in Cambridge University Library. 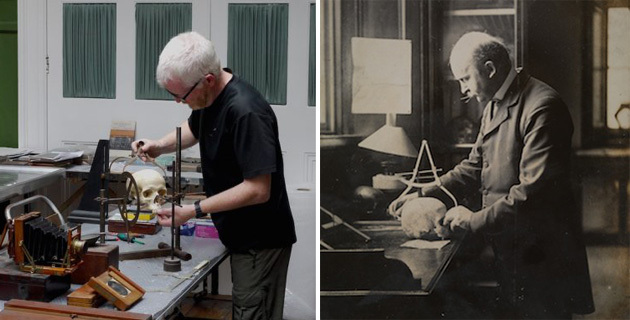 The Dublin Anthropometric Laboratory in 2015 and 1891. Many of the original instruments were found in 2015. The skulls were stored in a corridor at the back of the anatomy theatre. The Irish Research Council funded this work under its programme of employment based research. A key part of the project has been to work with an enterprise partner to find innovative ways of placing the results of my research into the public domain in a way that engages the general public. My work with KDSC focussed on the development of online educational resources using visual technologies and networks and this will feed into strategies for creative public engagement. 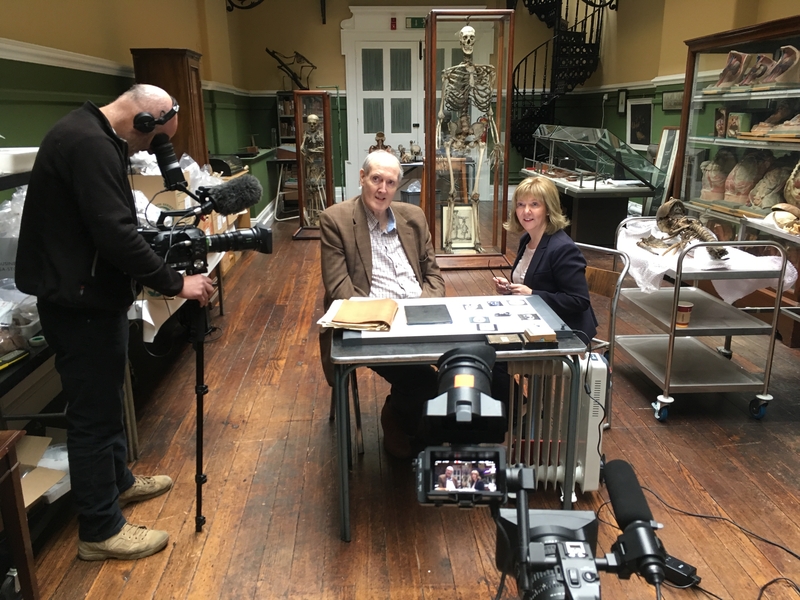 Public engagement at work: BBC Northern Ireland recording an interview between Brendan Holland and Martina Hennessy for the a documentary entitled “The Giant Gene.” It was produced by Chris Nikkel and broadcast in June 2018.
exploiting opportunities for access to and engagement with cultural resources generated by digital media and networks. This has generated three main tasks. The first involve an extensive research into primary sources – mostly uncatalogued– in archives and libraries in Dublin, Cambridge, and London. The second involves building a chronology of events and the epistemic programme of the Laboratory. The third involves building a mediation programme that enables the general public to engage creatively with issues relating to anatomy, image, and ethnicity, which were so central to the work of the Dublin Anthropometric Laboratory. A glass plate negative of a photograph taken by Andrew Francis Dixon in the Aran Island in 1890. The project is entering its final phase. I have spent 18 months conducting an extensive trawl of primary sources and integrating this with the published records of the various agencies involved. The last six months of the project will involve two main tasks; writing up the results of my research and, alongside that, developing a plan for creative engagement with the general public. Work will also commence on a project with Cambridge University Library. 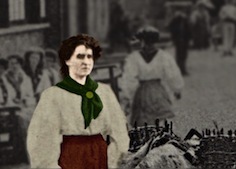 This will involve re-uniting the visual archive of the Irish Ethnographic Survey with manuscripts held in CUL, reconstructing key elements of the archive of the Dublin Anthropometric Laboratory as it were. A photograph taken by Charles R. Browne on the Great Blasket Island in 1897. 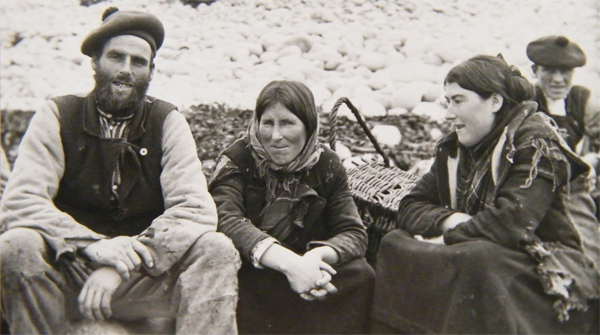 The man in the middle is Tomás Criomhtain, the author known as An t’Oileanach (The Islander). 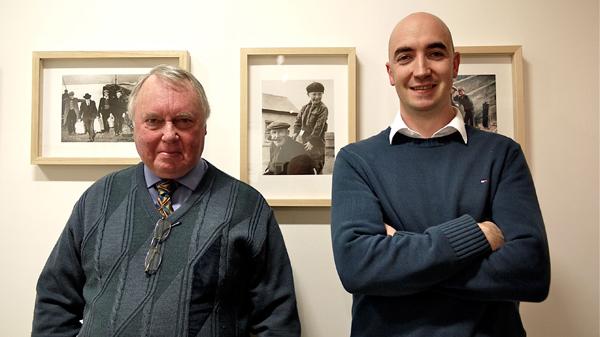 Gearóid Cheaist Ó Catháin and Daithi De Mordha standing in front of a photograph taken of Gearóid shortly after the Great Blasket Island was evacuated (1953). Michael Faherty, Inis Meain, 1890-1, from the archive of the Irish Ethnographic Survey (1891-1903). 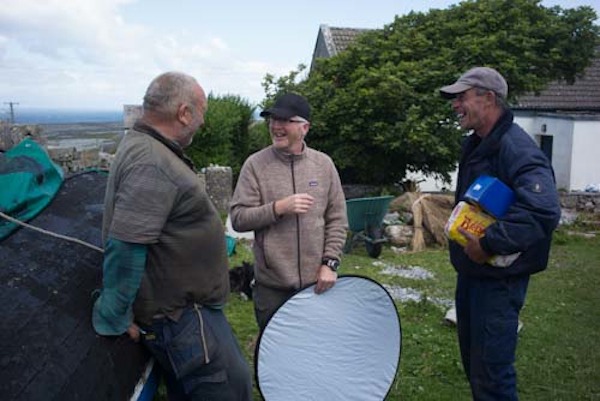 www.curator.ie on location: Peadar Mór, Ciarán Walsh and Muiris Ó Conghaille taking a break during filming on Inis Meáin, 2014. Siobhan Ward, Chief Technical Officer, Anatomy, TCD, in the ‘Old’ Anatomy building in TCD. 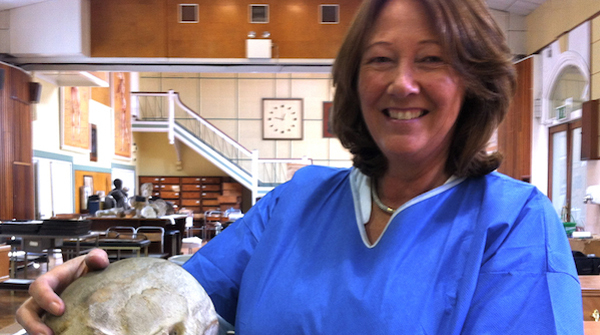 Siobhan is holding a plaster cast of the skull of the musician Turlough O’ Carolan. O’Carolan’s skull used to adorn his grave in Roscommon before it was acquired and cast by Grattan of Belfast. 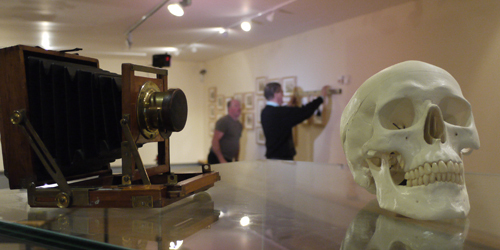 Installation of the Irish Headhunter Project in the National Museum of Country Life, Castlebar. 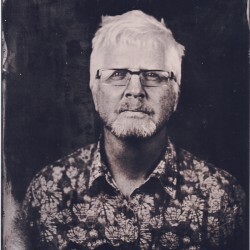 www.curator.ie is managed by Ciarán Walsh. It was designed by Rob Condon of Kerrynet Solutions.